Even though, objectively speaking, The Abominable Dr. Phibes isn't very good, it's always been a sentimental favorite of mine. It helps that the movie is aware of its own absurdity—it actually chooses to revel in it rather than playing it straight—but the star of the film is its eccentric style, I'd say. Dr. Phibes—the designated genius-slash-madman of the story—lives in an art deco wonderland with a mechanical orchestra and a mute assistant with the gynecological-sounding name Vulnavia. In between playing his pipe organ (not a euphemism) and outfitting his home like a posh supper club, Phibes whiles away the hours plotting his revenge against the nine doctors who (he believes) are responsible for his wife's death on an operating table some years before. There's not much narrative tension, really, because we know that he will successfully kill eight of them—mimicking the plagues of Egypt in their deaths, however preposterously—which will bring us up to his climactic confrontation with the head doctor Vesalius. 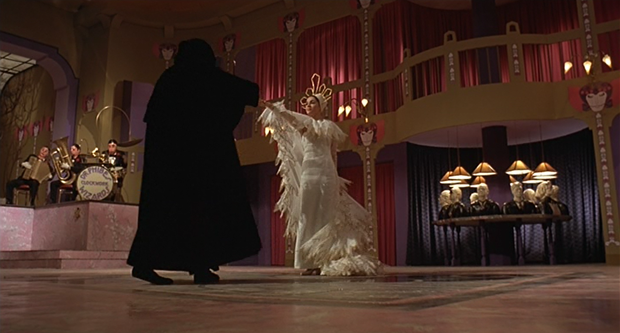 The joy in watching Dr. Phibes comes from Vincent Price's predictably hammy performance as the title character and the ridiculous set pieces that the film ticks through like clockwork. I sometimes confuse Joseph Cotten with William Holden. It must be the -en'd surname. Or the generic, forever forty, looks. It's true. Joseph Cotten doesn't look much different than he did thirty years before in Citizen Kane. I did not skim this blog entry. Is that Captain Kangaroo in the bottom picture? The plot to this sounds like "Kill Bill- the HMO edition".
" He even goes so far as to have metal medallions custom-made for each victim with the Hebrew symbol for the plagues embossed on them." Makes the murder pretty easy to solve... detective looks up who manufactures made-to-order Hebrew medallions, asks if any orders for plague symbols have been placed lately, BAM! he's got a short list.. maybe 10 or 12 in the nation, at the most, and pretty soon he nabs his man. If the idiot payed with a credit card, you can pretty much pick him up before lunch and close the case on the first day, in time to make it out for a short 9 of golf that afternoon. As you might guess, since the premise of the plot is flimsy as it is, many of the specifics details are glossed over. I am not sure that Phibes is in fact a medical doctor; he may have a doctorate because they said he studied ancient religions. But again I'm not sure on this. I do know that he was in another country when his wife had to go under the knife—and he dies in a car crash on his way home. 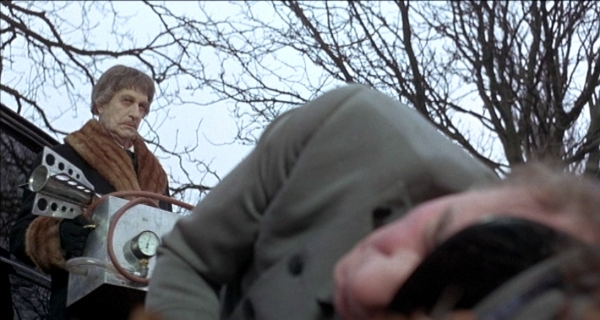 (Yes, Phibes is actually a reanimated corpse in this movie. Spoiler alert!) I think the reason he blames the doctors for her death is simply that she was under their care when she died. There are no specific allegations of negligence. It is always advisable to hire the clinical negligence claim professional from a reputable company, and it can be easily done by seeking references, or by reading reviews, or by seeing the testimonials on the official website of that company. It’s going to be intolerable for the patients to be treated negligently by the doctors, because it may cause some serious implications on the body. The increasing number of clinical negligence claims indicates that the people have grown much aware of their right to get complete medical attention, and they can sue the doctors for unbearable flaws in diagnosis or medication.